In a 2002 study of people with chronic heart disease, more than 80% of patients used integrative medicine. (1) Patients cited numerous benefits to the use of integrative medicine, including maintaining better health and sleep, boosting self-esteem, hope, and peaceful mind, and reducing anxiety, stress, and pain. The integrative therapies used by the patients in the study were all modalities taught in the Professional Yoga Therapist Certification program, which include evidence-based yoga as integrative medicine, massage, relaxation, lifestyle-diet modifications, spiritual healing, herbs, and imagery. People are living longer than ever yet Americans’ quality of life is continually deteriorating. Pain associated with decreasing quality of life costs the US $635 billion dollars annually, says health economists at Johns Hopkins University published in the Journal of Pain. The National Institutes of Health reports “pain is one of the most common conditions for which adults use complementary and alternative therapies. This statistic firmly places yoga in the top 10 integrative medicine modalities being used in the US today. The National Center for Complementary and Alternative Medicine recognizes yoga as a valid method for addressing low back pain. Additionally, yoga is proven effective in fighting inflammation and stress induced chronic disease, including heart disease, depression, obesity triggered diseases, pain, and immune function in cancer treatment. These are all conditions that top the list of causative pain agents, according to the American Academy of Pain Medicine. Read previous posts on Better Yogic Breathing for A Safer Spine and Why Yogic Breathing and Meditation Are Important Rehab Tools. Physical therapists, athletic trainers, and similar allied health professionals are ideally suited to be delivering yoga as medicine. Read Four Reasons Why Rehab. Pros Need Yoga. This is why Professional Yoga Therapy Studies currently offers graduate level studies in medical therapeutic yoga in partnership with three universities throughout North America. PYTS also offers the Professional Yoga Therapist post-graduate certification in partnership with Medbridge Education. A first of its kind, the PYT Certification is the national model for post-graduate certification in yoga for health care professionals. Studying yoga at a post-graduate level allows you to immediately apply yoga techniques in your clinical practice, which offers a more holistic and thorough approach to managing low back pain than physical therapy alone. The PYTS program is interdisciplinary, which the Institute of Medicine lists as a critical element for improving chronic pain management in the US in its brief, Relieving Pain in America: A Blueprint for Transforming Prevention, Care, Education, and Research. Other elements critical for improving pain management and patient satisfaction in the US is use of integrative medicine’s biopsychosocial model, which is at the center of the Professional Yoga Therapist Certification. 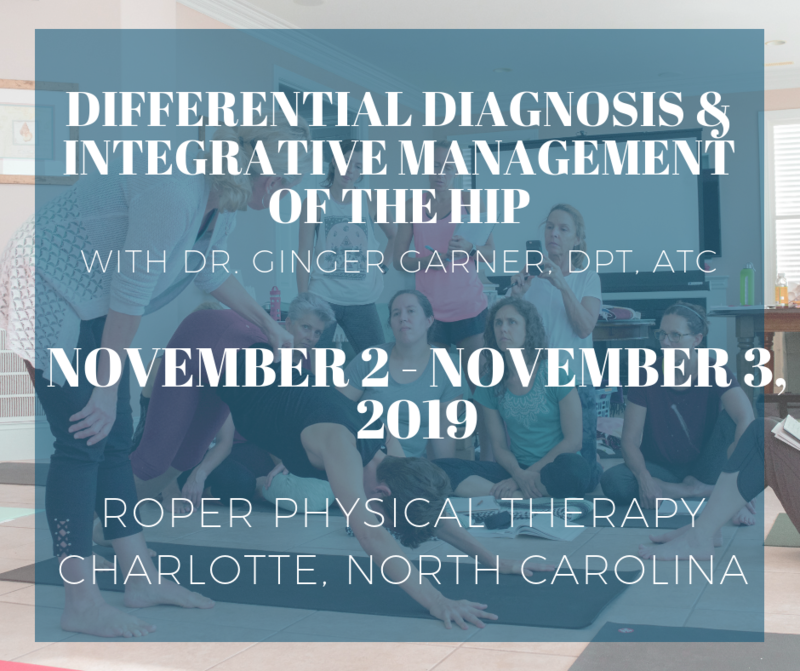 Earn continuing education in merging the evidence-base with yoga through Medical Therapeutic Yoga Part A and B, offered as part of the Medical Therapeutic Yoga Certification in partnership with Medbridge Education and Professional Yoga Therapy Studies. Learn more About Ginger and her efforts to influence health care policy and delivery in the US and abroad. 2. National Institutes of Health 20007, National Health Survey. 3. Nahin RL, Barnes PM, Stussman BJ, Bloom B. Costs of complementary and alternative medicine (CAM) and frequency of visits to CAM practitioners: United States, 2007. Natl Health Stat Report 2009;(18):1-14.